Dressing all snazzy doesn't have to be so bad! 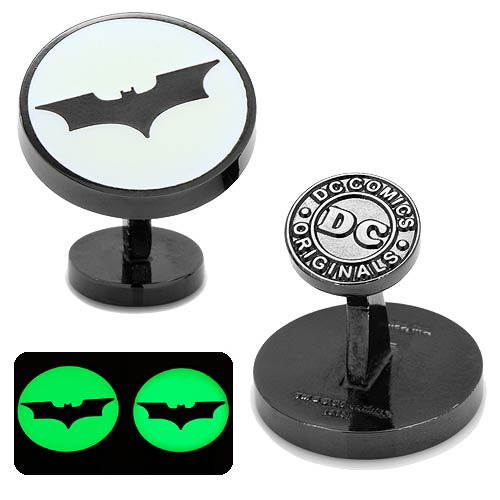 At least with the DC Comics Batman Dark Knight Signal Glow Cufflinks you can have some undercover geek chic! These high-quality cufflinks measure approximately 3/4-inches diameter. Made from black plated base metal with glow-in-the-dark enamel, fixed back closure, and officially licensed by DC Comics. Ages 12 and up.